This is still my favorite part of making a movie. 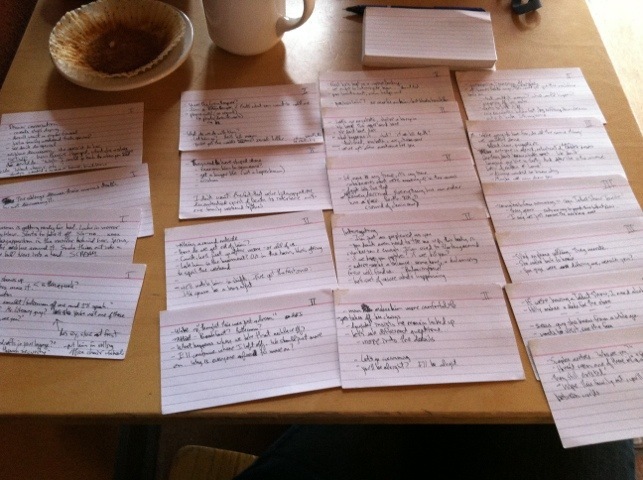 The notecards, the writing, the re-writing, the wondering if this is going to turn out like you hope. Previous PostPrevious "We each have something the other one wants"